Rome's dominance in the Mediterranean led to many dramatic changes in Roman society. The elites became extremely wealthy thanks to the Mediterranean trade and wealth acquired during the wars. A new class also emerged: the equestrians. The equestrians made their wealth through trade and some of them even became senators. Senators were not allowed in theory to engage in trade and there were a lot of conflicts between the senators from the old patrician class and the equestrians who only had a limited say in the Senate. A lot of the conflicts had to do with land reform namely the redistribution of land owned by the aristocracy to the plebeians. 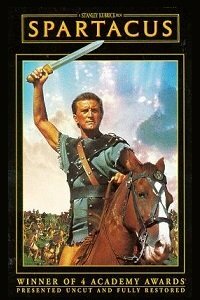 Another change in society was the fact that a lot of Romans became soldiers. Rome had to defend its large territories. For many Romans, becoming a soldier was a way of obtaining land after serving 20 years in the army. Because many Romans were soldiers, they had to be far away in the provinces, and as a result, agricultural lands could not be exploited by ordinary Romans. Agriculture increasingly relied on latifundia which were large private lands which produced grains, wine and olive oil and which depended upon foreign slave labor. There were the equivalent of industrialized agriculture today. Because of lot of the economy now depended upon slave labor, paid work for Roman citizens decreased and unemployment increased dramatically. Inequality in Roman society also became high. The high rate of unemployment led to a rise in crime and to the emergence of gangs. These gangs were violent and they intimidated the population. Some of these gangs were also controlled by senators who used them in various ways. Tribunes were elected officials in the Roman Republic who acted on behalf of the plebeians. They convened and acted as president at the Plebeian Council. They proposed legislation before this council and to the Senate. They also had the power to block decisions taken by magistrates. Tribunes were highly respected and any assault on their person was strictly forbidden. 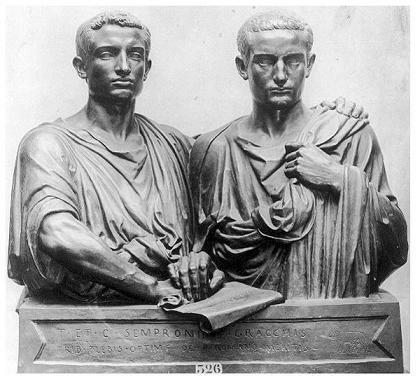 In the 2nd century BC the Gracchi brothers, Tiberius (elected in 133 BC) and Gaius, were two tribunes who tried to pass land reform that would redistribute land owned by rich landowners among the plebeians. They were murdered by gangs (controlled by senators) and land reforms previously passed were reversed. This led to a growing opposition between the equestrian classes which were part of the optimates and the plebeian classes which were part of the populares). The optimates wanted power concentrated on the aristocracy while the populares seeked the support of the people. Marius became Roman consul in 107 BC and held the consulship seven times. His efforts at the beginning were concentrated on defeating the Numidian king Jugurtha. Marius is also known for his military reforms, namely the recruiting of poor men without land to the army which made the soldiers more loyal to the general. As we previously pointed out, Roman soldiers were generally rewarded with land at the end of their military service. Tribune Marcus Livius Drusus granted Roman citizenship to the socii or allies of Rome. A lot of Romans did not appreciate this and he was subsequently assassinated. His assassination led to the socii revolt and what we call the Social War (91-88 BC), which happened right after Marius retired. During the Social War, two consuls were murdered and eventually Marius (who had already retired) was appointed head of the army together with Lucius Julius Caesar and Sulla. Sulla and Marius had previously been rivals during the war with Numidia. Both had partisans who were strongly opposing each other. At the end of the Social War in 88 BC, Sulla was elected consul. His first assignment was to defeat Mithridates of Pontus who was king of Pontus and Armenia Minor in northern Anatolia (in what is now Turkey). King Mithridates intended to conquer the eastern Roman territories and this had to be stopped. But something then infuriated Sulla: Marius had managed to become head of the military thanks to his partisans' help. Sulla then did something that is remembered to this day: he marched into Rome with his legions and killed all of Marius' supporters. Their heads were impaled in the Roman Forum. 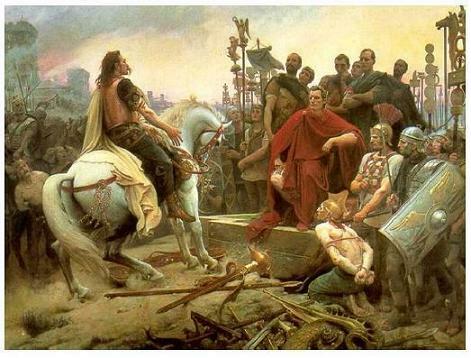 Marius managed to escape the march and came back one year later while Sulla was campaigning in Greece. He seized power and killed all of Sulla's supporters in the same manner: by impaling their heads in the Roman Forum. This is known as the Marian Massacre. Marius died in 86 BC due to his old age and the other consul Cinna stayed in power until 84 BC, year of his death. After finishing his campaigns in Greece and the east, Sulla marched into Rome again in 83 BC. During his stay in power, thousands of nobles and hundreds of senators were killed. By the mid first century BC, the inequality between rich and poor was higher than ever. So was the division between the populares and the optimates. Sulla had worked for the optimates and had removed all populist leaders. He had also passed constitutional reforms that removed powers from the tribunes (who defended the interests of the plebeians). The extreme inequality between the aristocracy and the poor farmers led to the Catalinarian conspiracy which turned out to be a complete failure. Cicero, who was consul, quickly caught and executed all the conspirators. 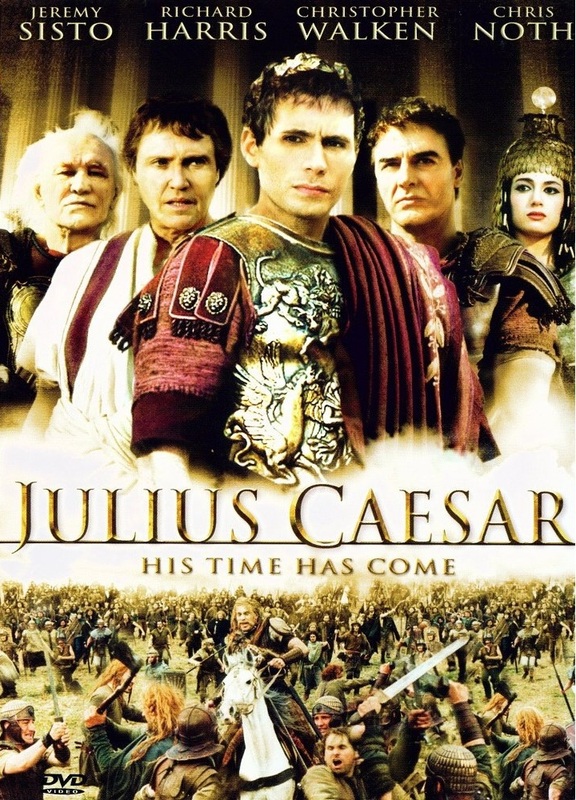 Out of this turbulent period emerged Gaius Julius Caesar who considered to be on the side of the populares even though he was from a respected aristocratic family. To reach power, Caesar reconciled two very powerful men and rivals: Marcus Licinius Crassus and Gnaeus Pompeius Magnus. Crassus had supported Caesar early on in his career and Gnaeus Pompeius Magnus had married Caesar's daughter. This alliance of three men was called the Triumvirate. The alliance benefited everyone: Crassus who was the richest man in Rome became even richer and achieved control of the military. Gnaeus Pompeius Magnus increased its influence in the Senate. Caesar became consul and head of the military in Gaul. The three men ruled Rome. Many events led to the disintegration of the Triumvirate. In 54 BC Caesar's daughter and Pompeius' wife died when giving birth. In 53 BC Crassus was killed in the Battle of Carrhae while invading Parthia. Caesar and Pompeius became rivals. Both were generals. Caesar had successfully conquered Gaul which made him extremely wealthy and which earned him the respect and admiration of his legions and of many people in Rome. Furthermore, Caesar was on the populares side and many optimates hated him. Sensing a menace, Pompeius tried to strip Caesar from his legions and subsequently send him into exile. Caesar however entered Rome with his troops in 49 BC. Pompeius, the people that supported him and some of his legions fled Italy and were subsequently chased by Caesar. In the Battle of Pharsalus, Caesar killed many of Pompeius' supporters and in 48 BC Pompeius was killed in Egypt. Caesar became the sole ruler of Rome. He was consul four times in five years. He was also named dictator four times but one time for ten years and one last time for...perpetuity. Many aristocrats hated him, bearing in mind that Caesar was on the side of the populares. In 44 BC he has murdered in what we call the Ides of March by the Liberatores. Caesar's assassination sent shockwaves throughout Roman society. Most Romans had appreciated Caesar and his populist policies. Following his death, Rome was ruled by another Triumvirate which lasted for five years. It was composed of Mark Antony who was Caesar's colleague, Octavius who was Caesar's adopted son and Marcus Aemilius Lepidus who was Caesar's best friend. Mark Antony was in charge of the eastern provinces, Octavius of Italy, Hispania and Gaul and Lepidus of Africa. In 42 BC at the beginning of the Second Triumvirate up to 300 Senators were executed and their property confiscated due to their partipation in the Ides of March by the Liberatores. 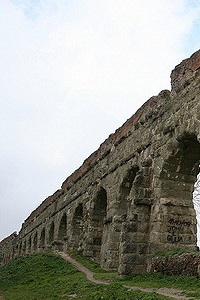 During the same year, Caesar's assassins and the leaders of the Liberatores were killed in the Battle of the Philippi. Caesar was also deified by the Senate. We note that deified does not mean that he was considered as a deity but rather that he was a very respected historical figure. Caesar became Divus Iulius and Octavius became Divi Filius. There were many aristocrats left however (the optimates) that still hated the Second Triumvirate which had the support of the people (populares). Mark Anthony's brother Lucius Antonius led a revolt but it ended with the execution of hundreds of senators and equites on the anniversary of the Ides of March (noting that Mark Anthony spared the life of his brother Lucius). In 38 BC, the Second Triumvirate was renewed for five years. But the relationship between the three men deteriorated. In 36 BC Lepidus betrayed Octavius in Sicily and was forced to retire. In 34-33 BC, Mark Antony was living in the kingdom of Egypt which was then ruled by the beautiful Cleopatra VII. Mark Antony and Cleopatra were lovers and this was tantamount to an act of treason for Rome. Mark Antony's lavish lifestyle in Egypt also bothered many people in Rome. Mark Antony was the ruler of the eastern provinces and therefore threatened the territorial integrity of the Roman Republic. Eventually war broke out between Octavius and Antony and the Roman army completely destroyed Antony's forces in the Battle of Actium in 31 BC. Mark Antony and Cleopatra committed suicide and Rome took control of Egypt. There is a famous painting by Lorenzo Castro called The Battle of Actium (1672) that depicts this epic battle.